In a world that sometimes seems to have lost its meaning and purpose it can be hard to find the truth or what is real. We believethat truth and reality can be found and experienced in REALWORSHIP, REAL DISCIPLESHIP and in REAL COMMUNITY. Real worship is not about any particular tradition or style but about focusing on who we are worshipping. Worship is far more than just a music style, it is a lifestyle. With our worship service we strive to inspire people to live what they believe in a relevant and life changing way through praise prayer and preaching. The great commission tell us to make disciples and we strive to focus on both being and making disciples that follow Jesus with all their hearts! Since discipleship is a life long journey we strive to provide opportunities for growth for both young and old. Real discipleship is more than just education and information, it is also all about action! A Real Community is more than a religious social club. We are focused on being the body of Christ by utilizing our gifts and talents to encourage one another and to serve others both in the church and outside the church! Since there truly is no such thing as a perfect church we focus on being Real and honest as we strive to be all that we can be for God. Pastor Brian Swain came to us in May of 2011. He was born in Troy PA. He spent 27 and a half years in the Air Force. He served as an Aircraft Mechanic before becoming a Chaplain. 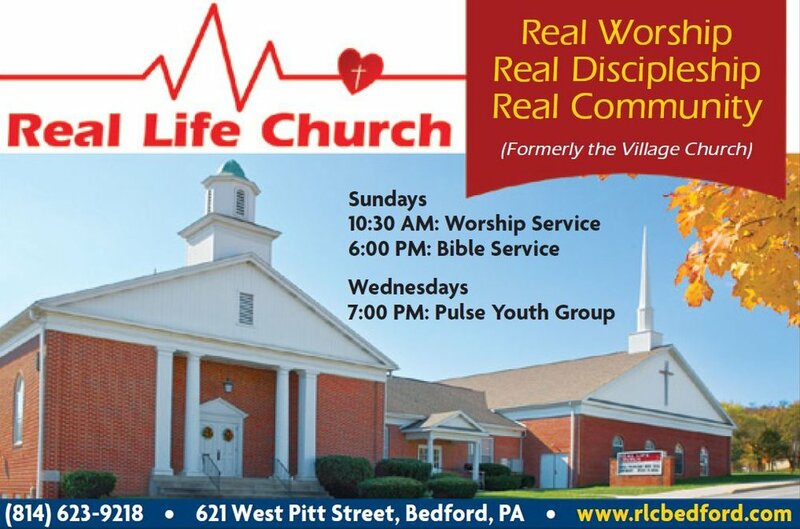 Our church has a rich heritage in Bedford County that began in 1930 with a tent Campaign that was launched at the Coffee Pot Service station that was west of Bedford on the Lincoln Highway.